A court in Germany has ruled that the recent deportation to Tunisia of a failed asylum seeker - an Islamist suspected of being a bodyguard for the former al-Qaeda leader Osama bin Laden - was unlawful and that, at taxpayer expense, he must be immediately returned to Germany. The ruling has cast yet another spotlight on the dysfunctional nature of Germany's deportation system, as well as on Germany's politicized judicial system, one in which activist judges are now engaged in a power struggle with elected officials who want to speed up deportations. On August 15, the North Rhine-Westphalian Higher Administrative Court (Oberverwaltungsgericht, OVG) in Münster said that immigration authorities in North Rhine-Westphalia (NRW), Germany's most populous state, deliberately deceived the courts in the run-up to the deportation of Sami Aidoudi, who had been illegally living in Germany for more than a decade. Aidoudi was deported on July 13, after years of legal maneuvering which allowed him to stay in Germany — on the grounds that in Tunisia he might face torture. Between 2006 and June 2018, Aidoudi's case was heard 14 times in NRW courts, according to NRW's Ministry of Justice. Aidoudi, a Salafist Islamist, first arrived in Germany in 1997, and is believed by German authorities to have spent time in Afghanistan and Pakistan before the al-Qaeda attacks against the United States on September 11, 2001. Since then, he has been under surveillance by German intelligence for propagating Islamist teachings and attempting to radicalize young Muslims. He had "far reaching" relationships with Salafist and jihadist networks, according to an official report leaked to the German newsmagazine, Focus. Aidoudi's asylum request was rejected in 2007 after allegations surfaced that he had undergone military training at an al-Qaeda jihadi camp in Afghanistan between 1999 and 2000. During his training, he had allegedly worked as a bodyguard for Osama bin Laden. Aidoudi denied the charges and claimed to have been studying during that time in Karachi, Pakistan. In April 2017, a court in Münster ruled that Aidoudi faced "the considerable likelihood" of "torture and inhumane or degrading treatment" if he returned to Tunisia. In April 2018, Aidoudi's continued presence in Germany sparked public outrage when the NRW government confirmed that for more than a decade Aidoudi had been receiving €1,168 ($1,400) each month in welfare and child-support payments, even though German intelligence agencies had classified him as a security threat. "I can assure you and I can guarantee: There is no torture here! We are a democratic state and our courts act according to the law. Those who return to us are treated democratically. It is absurd that a German court claims that a Tunisian citizen could face torture here." On May 9, Germany's Federal Constitutional Court (Bundesverfassungsgericht) ruled that another Tunisian jihadi — identified only as 37-year-old Heikel S., accused of involvement in the March 2015 jihadi attack on the Bardo museum in Tunis — could be deported to his homeland. Interior Minister Horst Seehofer seized on this ruling and pledged to make Aidoudi's deportation a top priority. On June 25, Aidoudi was detained in Bochum after Seehofer ordered immigration authorities to expedite deportation proceedings. 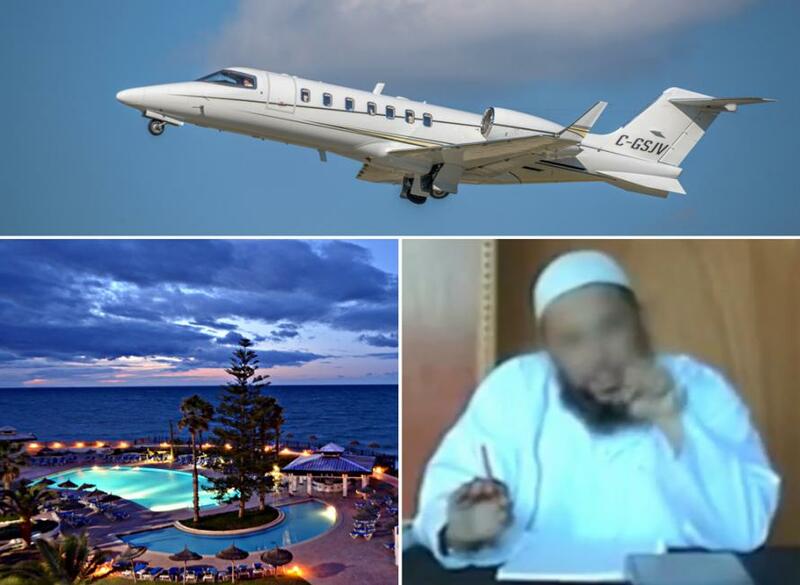 On July 13, before dawn, Aidoudi, escorted by four federal police officers and a doctor, was placed on a specially chartered Learjet and flown from Düsseldorf to Tunisia. Aidoudi's deportation cost German taxpayers nearly €80,000 ($95,000), according to Focus magazine. Although the Gelsenkirchen Administrative Court had blocked Aidoudi's deportation the night before, the decision was not passed on to immigration authorities until the next morning — after the plane was already airborne. When the court learned of Aidoudi's deportation, the judges accused German immigration authorities of "deliberately withholding" information about the timing of Aidoudi's flight in order to ensure that the deportation would be carried out. The court said that Aidoudi's deportation had infringed upon "fundamental principles of the rule of law" and ordered the City of Bochum to return him to Germany by July 31, 2018. On August 3, the Gelsenkirchen court fined the City of Bochum €10,000 ($11,500) for failing to retrieve Aidoudi by the July 31 deadline. On August 13, the NRW Criminal Police Office banned Aidoudi's reentry to Germany after he was placed on an EU blacklist known as the Schengen Information System (SIS). On August 15, the Münster court overturned the reentry ban and ordered Bochum officials to immediately retrieve Aidoudi. The ruling can only be appealed at the Federal Constitutional Court (Bundesverfassungsgericht), Germany's highest court. "This ruling has no consequences for us. I have said it several times: In Tunisia, Tunisian law is valid and nothing else! That there are problems between ministries and courts in Germany is not our problem. The process here in Tunisia is not yet completed, so he [Aidoudi] has no ID card with which he could travel." "The court leaves us at a loss, because it itself acknowledges current obstacles that prevent a retrieval, but still demands that Sami A. be promptly returned." "Judicial independence is a highly valuable good, but judges should always bear in mind that their decisions should correspond to the public's sense of justice. I doubt if that is the case with this ruling. If the citizens no longer understand judicial decisions, that is pouring water over the mills of extremists." "The courts have to judge independently of the majority opinion. And everyone should be aware that a constitutional state is working to protect the rights of minorities, even the rights of those who do not respect the rule of law. "The case of Sami A. is about determining the fine line between ensuring the security of the population and the rights of those who jeopardize or even violate security. The rule of law must assert itself to the extent that even perpetrators, offenders and terrorists are entitled to effective legal protection and respect for their human dignity." "I would have liked to have these worries about the separation of powers when a federal minister of justice shifted the finding of a crime such as incitement to hate from the courts to legally unqualified employees of any Internet corporation. "What we are currently experiencing is not a struggle for the rule of law, but a power struggle between an obviously ideologically oriented judiciary and unpopular political representatives." "The scandal begins when an administrative court declares the deportation of a 'perjurer' is inadmissible because he could face torture in the country to which he was deported. "Even in a constitutional state, there can be wrong judgments. A judgment, right or wrong, does not allow conclusions to be drawn as to the rule of law, whether it works or does not work. Not even judges consider themselves infallible. "Confidence in the rule of law is not undermined by a ruling such as that of the Gelsenkirchen Administrative Court, but by the fact that it took almost twelve years for Osama bin Laden's 'alleged' bodyguard finally to be deported."